We proudly serve Los Lunas, New Mexico and surrounding areas including Albuquerque, Rio Rancho, Bernalillo, Placitas, and Los Lunas. For our clients who want to avoid the headaches that sometimes accompany the management of their investment our proven full service program is the best choice. We handle all of the details, deposit your funds directly and automatically into your bank account and provide you with a monthly report. What sets us apart from other Los Lunas Property Management Companies? Rent Builder people are property management experts with the single goal of providing the finest customer experience for our Owner Clients, and Residents as well. Our company manages hundreds of rental properties with a professional, well-trained team of property managers, maintenance personnel, and accountants, and has for over 15 years. We know the area where your investment property is located. And, we combine that with the power of our RentMax database to maximize your rental income and minimize down time.We specialize in the management of residential rental properties in Los Lunas and throughout the greater Albuquerque Metro Area. We will be glad to sit down with you to discuss your property in detail. We will go over new laws and developments in the market that could affect you and your property, and provide a realistic assessment of the monthly rent you should expect. All, of course, with No Pressure and Absolutely No Obligation. We can make your life easier! Now you can enjoy the benefits of being a property owner without the headaches that sometimes accompany the management of your investment. Our goal is to create and maintain the financial success of your property. We take care of everything so you can do the things you really want to do! Property Management Services are deductible just like your utility bill or real estate taxes. Don't get stuck holding onto a vacant property for months at a time. Our marketing experts use sophisticated promotional techniques to publicize your listing. We provide the best possible care for your property. Our team responds to maintenance requests, schedules the repair work, and keeps everything on time & on budget. At Rent Builder, our goal is to place the very best tenants. We do this by carefully screening every application and only approving highly qualified candidates. Our team vigorously enforces the terms of your tenant's lease & performs frequent inspections to check on the health of your rental home. Keep your earnings flowing smoothly with our accounting team working on your behalf. We process monthly invoices, collect funds, and transfer earnings to your account. Maintain a close watch on your financial performance. Sign into your online account at any time to view a full overview of your recent earnings & expenses. Struggling to handle a bad apple? We offer eviction protection, should something go wrong. We'll legally resolve the situation and find a great new tenant to take occupancy. Are you current on the nuances of tenant-landlord law? Let our team provide an expert's point-of-view, protecting you from potential legal nightmares. Why Choose Rent Builder Property Management? Partner with the Right Team for your home. We understand that our first priority is keeping our clients informed and meeting their expectations. We do our best to keep an open line of communication with you & we're always happy to take your calls and emails. At Rent Builder, we're committed to using the best tools at our disposal to achieve impressive results. Repair requests, rent payments, property listings...you name it, and we've taken it fully digital. This keeps us more efficient than ever before. We believe in healthy client relationships. We put trust at the center of our interactions with you & are committed to providing honest service without the runaround. With us, you can expect clear fees, no hidden costs, & honest answers. There are plenty of well-meaning property managers out there, but very few teams with the expertise necessary to handle whatever your rental home throws at them. Put our 15 years of real estate experience to the test for your rental investment. "Excellent service with good people. My experience with Rent Builder has been very good. They did everything they said they would do. They stayed in touch. Everything we planned was done. Any issues were taken care of. They were very professional." "Rent Builder has consistently met our needs for quality management and reporting for our rental properties, Their staff is courteous, professional and has always been very prompt to take care of maintenance and other issues related to our rentals. 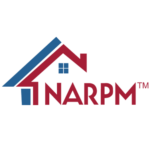 I highly recommend their services for property management." 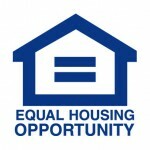 Determine how much your rental property could earn monthly. Learn how we can help you maximize your profits. See if your home is a fit for our management portfolio. 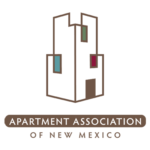 When it comes to Property Management in New Mexico, We're the best of the best. Own rentals in Albuquerque or the surrounding area? If so, you're likely already dealing with the challenges that accompany leasing your home, handling maintenance requests, and ensuring bills get paid on time. For many residential property owners, staying afloat is hard enough...forget profitability! Isn't it time you rediscovered the full potential of your rental property? At Rent Builder Property Management, we provide Albuquerque property management services without any of the hassle you'll find with some teams. Partner with us and we'll prioritize your needs from day one and work to identify management strategies that will maximize your monthly earnings. Learn today what we can do for your bottom line.